Attempting to gamble your money can be immensely dangerous. If you’re not careful, there is a real possibility that you’re going to lose it all. If you get lucky, you might be able to keep a little bit in your wallet. If you’re really lucky, you’ll walk away with more money than you had initially. Just remember that playing these games requires some strategy on your end. If you fail to strategize, you can go ahead and kiss your money goodbye. Within this guide, you’re going to learn how to deal with pre-flop 3-bets in and out of position. First and foremost, you should take the time to learn about the perks of 3-betting. There are plenty of them. First, this makes it possible for the aggressor to have a chance of winning without a flop. This allows you to benefit from the money already sitting on the table. This is also a great way to take set aside weaker opponents. 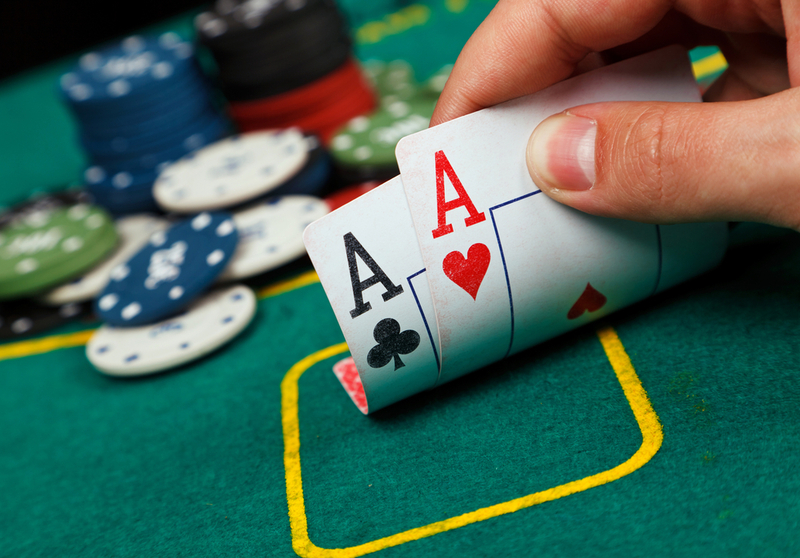 You can use 3-betting to limit the amount of players who will be able to see a flop. It can also help inflate the pot and that is great when you’re holding a very strong hand. Suffice to say, anyone who is interested in playing poker will want to take advantage of 3-betting. When facing a 3-bet, there are several things you need to know. You must know the bettor’s tendencies, size of the raise and how well your hand is going to realize its equity. If you find yourself up against a 3-bettor, you should think about upping the game with 4-betting. 4-betting is a great way to put the 3-bettor in a very difficult spot. It will increase the possibility that the 3-bettor is going to make a big mistake and that will give you the ability to capitalize on that mistake. If you’ve got a good face and plenty of charisma, you should use some bluffs to your advantage. This too will increase the likelihood that the 3-bettor is going to make a mistake. Remember to take your time and consider all of your options. You should never attempt to rush through this type of scenario or you’re going to regret it. If you’re facing a 3-bet when you’re out of position, you’ll need to move forward very cautiously. After all, you’re in a dangerous spot and a wrong move could ruin you. With that being said, you should take a second to reflect on the situation before moving forward. You need to try calling with fewer connectors. 4-betting when out of position is pretty much the same. Always do your best to rely on hands that are going to play great when the stack-to-pot ratio is very small. As long as you stick with the basics, there is a good chance that you’ll get it right. If you do not, you’re going to regret it. Either way, you can still win the post despite being caught out of position by a 3-bettor.